This is the area for blog posts from the PTP show. Show notes, upcoming news etc. Enjoy. Sorry for the the utter insanity and lack of movement with us releasing content listeners but we've been having a lot of issues. One of those issues is given away by the fact that we've returned to using our google blog page. Well WordPress is giving us problems and our official site is currently out of commission. So for the time being we're going to use our blog page to share our content with you. Stay tuned and we'll give you updates as they come up. With that out of the way, let's get on with this post's content. 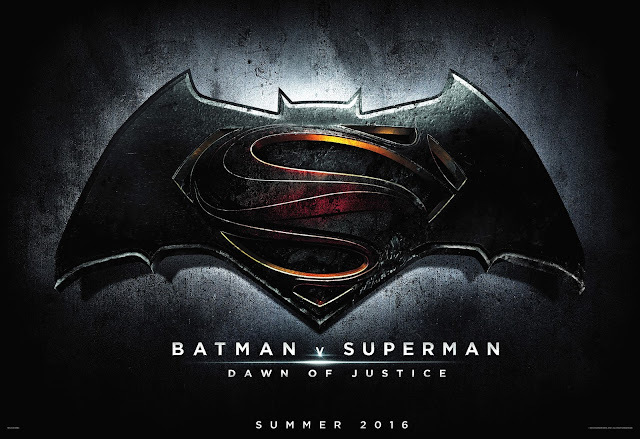 For this piece of content Solidos and Little Lady talk about Warner Bros. springboard for the DC Cinematic Universe: Batman v Superman: Dawn of Justice. Though Little Lady hadn't seen the film yet she and Solidos go deep into all the issues of the film. Specifically how the characters are written, creative decisions by the filmmakers, and even some concerns involving the movie's long term box office performance. SPOILER ALERT!!! Spoilers are discussed throughout this content. As always we strongly encourage you to contact us via Facebook and Twitter, or email us at show@pardonthepause.com. Remember to include who you want the message to go to in the subject when you send us an email, or just put "Cast" if you want us all to take a look at it. All music, and products mentioned in this podcast are the property of their respective owners (even if we couldn't find the specific copyright information). Pardon The Pause is licensed under a Creative Commons Attribution-NonCommercial-ShareAlike 3.0 Unported License. Episode 6 is on the way but, before that, here’s another bit of supplemental content for you. In this piece Lady Nocturne, Little Lady, and Solidos have a lengthy talk about Michael Bay and why the fans of the properties he’s involved in, which includes themselves, have such a hard time liking him. Part one is all about the Teenage Mutant Ninja Turtles and the upcoming film he’s producer of. Hope you enjoy and please feel free to spread the word about the show, send us your emails with question/comments, and keep your eye out for part 2. All music, and products mentioned in this podcast are the property of their respective owners (even if I couldn't find the specific copyright information). E3 is almost here listeners so here’s another bit of side content. This time Mad Hatter and myself catch up and discuss the initial Xbox One reveal event and our opinions of it. Then head straight into what we think will happen at this year’s E3 and what moves we think Sony and Microsoft will make. Especially since the next-gen systems are the big story heading in. We also discuss other stories we hope to hear more about during the show. Hope you enjoy. This was recorded Prior to E3 2013. My apologies folks I’ve been a bit busy with work but here we go Part 2 of Episode 5, and the rage keeps on going in this episode. We discuss Marvel’s Agents of Shield, the Perfect Dark program, and Cartoon Network being idiots with their shows again. We talk the PS4 announcement, Star Wars Episode VII, and… EA, among other things of course. In our final part we have our Roundtable, where Mad Hatter let’s his rage flow over internet connectivity in the United States. A perfect topic considering the rumors of always-online consoles. And afterwards we give some recommendations. Hope you enjoy and check back for the rest of the episode as we put it out. Also we just made it to iTunes so search for us there too. The opening and closing song for this episode is "I'll be my Mirror" by 8in8 and is licensed under a creative commons license. Well, here we are again, listeners. Been a little bit of time but here we have Part 1 of Episode 5, and let me say we had a lot of rage this episode. Here we have our first moment of rage during our usual talk about what we've been doing since the last episode. Then we move into the start of headlines where the rage continues. We talk Marvel Phase 2 and 3, the CDC wanting to work with the devs of Pandemic, the Aliens: Colonial Marines controversy and more. Hope you enjoy and check back for the rest of the episode as we put it out. Also we just made it to Itunes so search for us there too. Welcome to our first episode of our newest bonus content Game Off. Hosted by my brother Black Hawk and myself the Mad Hatter. This episode features a comparison between Modern Warfare 3 and Call of Duty: Black Ops II. We hope you enjoy it. If you'd like to contact us with feedback and suggestions email us at Pardonthepause@gmail.com. We look forward to hearing from you, and hope you enjoy the show. If you listened to episode 4 then you heard a lively discussion about DmC and Ca$com. Well most of the cast just couldn't get enough. Listen to a continued discussion about it from Solidos, Little Lady, and Lady Nocturne and let us know what you think. Welcome Ladies and Gentelmen to Pardon the Pause, a Podcast about everything and anything Geek. From Movies, to Comics, to Sci-Fi, to Video Games and Anime, we are your one stop shop for all your Geeky Needs. You can follow us on Facebook at our Page, Pardon-the Pause, or on twitter: @PardonThePause, and soon to be on Youtube as well. We are a group specializing in podcasts based upon various pop culture. Our specializations lay in: Video Games, Sci-Fi, Table top Games, Anime and Animation, Comics, Movies, and a varity of all sorts of Geek events.